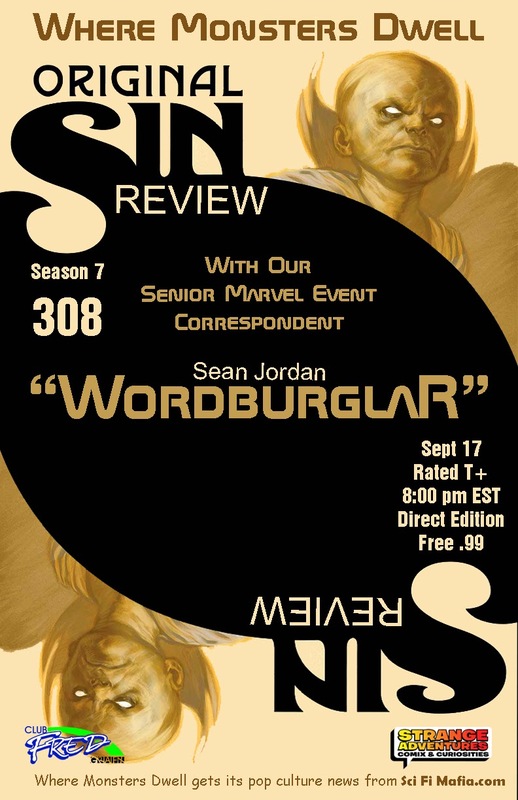 On this week’s new Where Monsters Dwell live radio show, the guys will have Marvel’s big summer event, Original Sin, in their sights, or in their words, “we’re gonna sit back and tell you what we thought of it.” Adding to the convo this week will be Where Monsters Dwell‘s Senior Marvel Event Correspondent, Wordburglar. All this and pop culture news from the week, and I am totally in. Don’t miss out! Update:Listen to Episode 308 now! Join the guys as they sit and talk with Dan about everything he has coming up. You can post any questions or comments you may have on the WMD Facebook wall or give the show a call during the broadcast at 506-452-6056 (they’re in Canada). 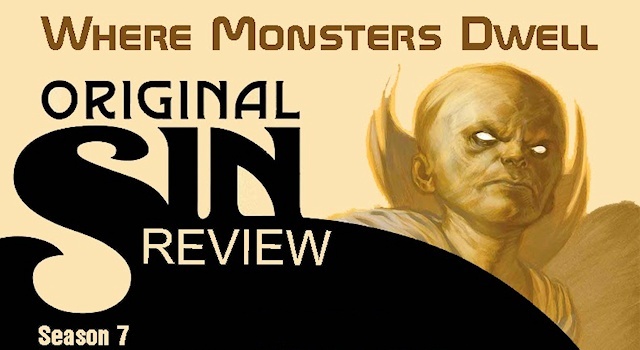 If you do have to miss tonight’s live show, the guys are cool enough to post their shows as podcasts, so you’ll be able to listen to the show when it posts later this week, either from the Where Monsters Dwell website, or subscribe to the podcast on iTunes here. Thanks guys! We’ll also pop a link onto this post as an update, so you can check back here later as well. And don’t forget, you can help support the Monsters by purchasing some of their swag at the awesomely named WEAR Monsters Dwell! Where Monsters Dwell broadcasts live at 8:00/7:00c tonight and almost every Wednesday for at least an hour, right here.